Autocad DVB password remover utility allows user to reset forgotten VBA password from *.dvb files. Software makes a unprotected Autocad Macro DVB file from protected .dvb VBA file. After resetting old password from the DVB file, software automatically generates a new password. This new password allows you to access VBA macro code from Autocad DVB files. While performing the Autocad DVB password reset process, no limitations are imposed on the number of characters used in the password. Software can recover password of any length, whatsoever. DVB password remover tool successfully supports all Autocad versions including Autocad 2015, 2014, 2013, 2012, 2011, 2010, 2007. Multilingual DVB passwords are supported by the tool. resetting is fully supported by the tool. Software easily cracks any password from Autocad .dvb file. You can easily view complete DVB password reset process in the report log section of the tool. Software displays complete information like: initial processing details, locating & resetting of DVB password, autogenerated new DVB VBA project password including final status. Trial version of Autocad DVB Password Remover software shows only 2 characters of the new password that is generated by the tool. Can i get my forgotten password back using the tool ? No, the software will not provide you the older password but will reset it with a new password. You can later change the password as per your need. Is the compatible with Windows 8.1 machine ? I am using a Windows 8.1 laptop and wants to remove password of my DVB file. Wanted to know if your tool is compatible with Windows OS 8.1 ? 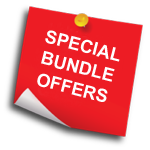 Yes, the software is compatible with any Microsoft Windows OS like: Win 8.1, Win 8.0, Win 7, Vista, XP and all below versions. Does the software removes password from corrupt DVB file ? No, the software does not remove the password of a corrupt DVB file. I work as an AutoCAD architectural draftsman with an architectural company. However, recently due to a carelessness I lost the password to my AutoCAD VBA macro project. 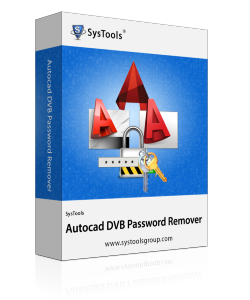 I could have ended up losing my job if SysTools AutoCAD DVB Password Remover tool didn't come to my rescue! Thanks a lot! We had been working on a really important project and the deadline was nearing. But, unfortunately we lost the VBA macro password of our AutoCAD project. Thanks to SysTools that helped us with their AutoCAD DVB Password Remover, otherwise we would have lost the deal!